Hi, this is Brent White. 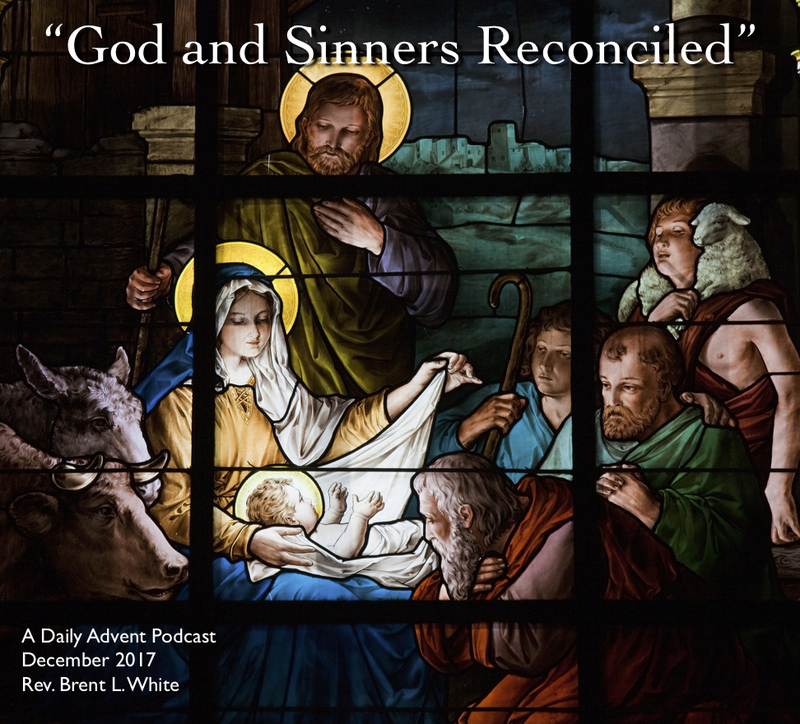 It’s December 24, 2017, Christmas Eve, and this is Day 22 of my series of Advent podcasts. You’re listening to Jon Anderson’s version of “O Holy Night,” from his LP 3 Ships. Yesterday, as I was preparing to write my Christmas Eve sermon, I on the story of the wise men in Matthew chapter 2. Think about it: in an almost literal way, God moved heaven and earth for the sake of guiding a few superstitious, idolatrous, pagan, polytheistic astrologers 700 miles from Babylon to Bethlehem. God went to great lengths to save these men! He must really love them! He must have really wanted to save them! And notice that God’s rescue mission for these wise men began by God speaking to these men in a language that they could understand—the language of the stars, astronomy. It reminds me in a small way of my own experience of coming to faith in Christ. God didn’t reveal himself to me through the stars in the sky—because I don’t know anything about astronomy. But he did speak to me in a language that I could understand: which is the language of rock and roll music. It sounds like I’m joking or exaggerating, but I’m not! It was fall of 1983. A year earlier I started taking guitar lessons with a man named Jody Johnston. Jody saw my passion for music, which he shared, and he introduced me to the music of his favorite band—the band Genesis. In the ’80s had a ton of hit songs when Phil Collins was lead singer. But back in the ’70s, when Peter Gabriel was lead singer, they were a very different band—and that’s the music that Jody got me into. And one of their songs, which spoke to me deeply, was called “Supper’s Ready.” The song borrows language and imagery from the Book of Revelation to take about the Second Coming of Christ. It’s a spooky song, to say the least. One night—it was probably November of 1983—I was listening to this song in my room, in the dark, and I was so moved by it—and scared by it, frankly—that when it was over I prayed my first real prayer—a prayer that wasn’t of the “Now I lay me down to sleep” variety. A sincere prayer. And I told God that I wanted to be a Christian, I wanted to follow Jesus, I wanted to be saved—which led me to a tearful conversation with my parents, who signed me up to go, a couple of months later, on a retreat with my youth group in the mountains of North Carolina, where I made a profession of faith and was saved. But isn’t it funny? God used my guitar teacher, and his interest in this particular band, to get me to hear this song, at this particular time and place, to get me on that youth retreat, where I could hear the gospel, and repent and be saved! None of those things were “coincidences”—God was working through all of it to reach me with the gospel! Maybe all of us Christians have a “Star of Bethlehem” in our lives that God uses to bring us to faith. What’s yours? Notice something else about this scripture: the wise men don’t make it all the way to Jesus aided only by the star. At some point—when they come to Jerusalem—they need people to help guide them the rest of the way. This is what we see the scribes and chief priests doing—they had to tell the magi that the Messiah was going to born seven miles away in Bethlehem. Only at that point did they find the star again, which led them the rest of the way. But let me ask an uncomfortable question: Do we share God’s passion for reaching the lost with gospel? Why not? A couple of weekends ago, I was minding my own business, working on my sermon on a Saturday morning, when I heard a knock at the door. And guess who it was? It could only be one of two kinds of people—the UPS guy delivering one of many packages I’ve received recently from Amazon or eBay—because that’s how I do all my Christmas shopping. Or it’s going to be Jehovah’s Witnesses. And sure enough, it was the latter. And I talked to them for about 15 minutes and challenged nearly everything they said—because even though Jehovah’s Witnesses talk about God and Jesus and use some of the same words we Christians use, they have a deeply distorted understanding of the gospel. Maybe they were wishing they hadn’t knocked on my door, I don’t know… But I thought of 1 Peter 3:15: “always [be] prepared to make a defense to anyone who asks you for a reason for the hope that is in you; yet do it with gentleness and respect.” That’s what I tried to do. I believe that God sent these people to my door. This was a divine appointment. So on the one hand, I felt good about the fact that I had taken time to share the gospel with these people. But on the other hand… as always happens when I encounter either Jehovah’s Witnesses or Mormon missionaries at my door, I felt a bit guilty and ashamed. Because here are some people who believe so strongly in their particular religion—even though it’s a spiritually destructive lie that will lead people to hell—but they believe so strongly in it that they are getting out on a Saturday morning and doing something that 99.9 percent of the people on the streets they visit don’t want them to do. And as a result they’re facing rejection; they’re getting doors slammed in their faces; they’re being ridiculed. But they’re doing this very unpopular thing because they believe that God has told them to. They believe so much in their mission they’re willing to face rejection, to face ridicule, to have doors slammed in their faces—they’re willing to sacrifice their reputations, not to mention sleeping in on Saturday, or enjoying leisure time or entertainment or sports or time with their families. And they’re willing to do all of this… for a lie. Because whether we think knocking on strangers’ doors and sharing the gospel with them is effective evangelism or not, one thing is for sure: We each know plenty of people in our lives who aren’t strangers—family, friends, neighbors, coworkers, fellow students—who need Jesus. What are we willing to do to get involved in God’s mission to reach them with the gospel? God is showing us through this Christmas story the priority we need to place on reaching the lost with gospel. Are we paying attention? This entry was posted on	December 24, 2017 at 1:17 pm	and is filed under Uncategorized. Interesting about “star” experiences. I have a few related to “coming back” to the faith. One was visiting my family and having the devotional they used that day to be titled, “Doubting Thomas.” Later, I reluctantly accompanied my parents to a church where I lived at the time, Jacksonville, Florida, only to have the preacher preach on how Christians go to college and get led astray by philosophy professors. It was so compelling that I actually found myself walking the aisle, though I did not “return” as a result at that moment. Later that day, my Dad, following up on that, was telling me about the gospel message, and I said, “Dad, I know all that.” Then I picked up my Bible, only to open it to, “Saul, Saul, why persecutest thou me? It is hard for you to kick against the pricks.” I was so sunned that I prayed, “God, if I am not saved, please save me.” (No answer from God right then, and, astonishing, I fell back to my earlier frame of mind thereafter!) Finally, I visited my family again at Christmas, only to hear a moving rendition of “Sweet Little Jesus Boy” at the service, whereupon, returning to their house, I said, “I don’t see how it can be true [based on what I perceived as the irreconcilable passages on predestination and free choice, a big “bug-a-boo” in my atheistic days], but you are so happy and I am so miserable, I am going to try to believe it.” Instant confidence in the truth of the gospel invaded me! My guess is that this incident “took” rather than the earlier events because i was finally willing to set aside my own confidence in my intellect to have faith. And I am even leaving out another couple of more minor stars! So, I am definitely of your conviction that God is interested enough in our salvation (or returning thereto) to “move heaven and earth” to get that done!